UNICEF and the Bangladesh Cricket Board (BCB) joined hands today in a development and advocacy partnership aimed at championing the UNICEF’s cause and to contribute towards participation of children in the game of cricket. The two-year-long partnership deal is at the centre of UNICEF’s sports activation plan – launched to encourage adolescent boys and girls to play cricket. 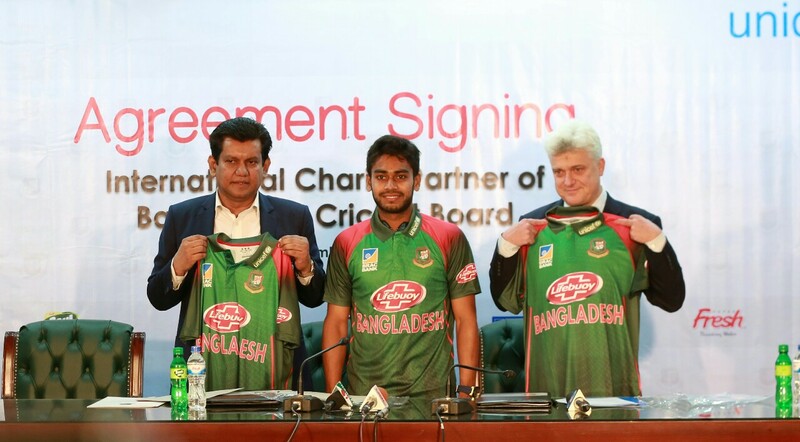 BCB Chief Executive Officer (CEO) Nizam Uddin Chowdhury and UNICEF Bangladesh Representative Edouard Beigbeder signed the agreement at the BCB office in the city with National Cricketer Mehidy Hasan Miraz. “Given the popularity of cricket in Bangladesh, high hopes are pinned on this partnership. BCB and UNICEF have had successful collaborations on several occasions in the past. But through this partnership, we hope to reach out to many more disadvantaged children and empower them through cricket,” said Edouard Beigbeder. Nizam Uddin Chowdhury said that the BCB’s partnership with UNICEF will give impetus “to the enormous positive wave” that cricket can stimulate in society. “It will bring a more human face to the existing activities of BCB as it formally champions the rights of children to play. The BCB attaches high importance to supporting social and humanitarian initiatives and this agreement is a testimony of our commitment to improving lives, especially of children in Bangladesh,” he said. UNICEF Bangladesh has been working closely with the BCB and national cricket players to raise awareness on child rights issue since 2006. It has also collaborated with International Cricket Council (ICC) and the BCB at numerous ICC events including the ICC World Cup 2011, ICC Women’s World Cup Qualifier 2011 and ICC World Twenty20 2014.